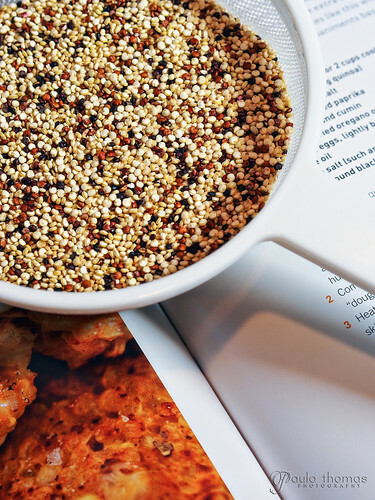 I followed the recipe closely but it's a recipe that you can change up by adding different spices. 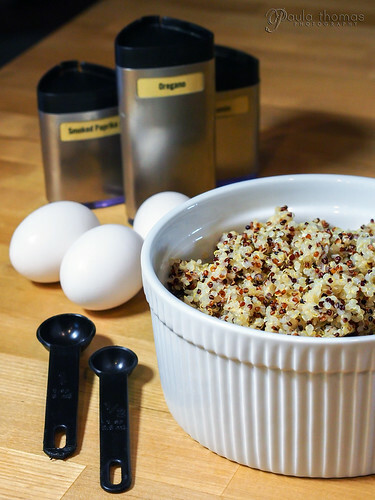 If you ever have leftover quinoa this is the perfect recipe. It is a vegetarian recipe but I again unvegetarianized it by topping it with some stewed beef. I'm thinking without that it may have been a little dry so it added some moisture to the cake. Check out the video to see what all went into making these cakes.